In this eighth installment of brief excerpts from each chapter in the book You Oughta Know: Acknowledging, Recognizing, and Responding to the Steps in the Journey Through Dementias and Alzheimer’s Disease, we look at the seventh step in the journey through dementias and Alzheimer’s Disease. This post includes an excerpt from chapter 7, which provides a comprehensive look at how to acknowledge, recognize, and respond to the seventh step in the journey through dementias and Alzheimer’s Disease: sleep changes and disruptions. This chapter shows that changes to sleep patterns and sleep disturbances, which includes sundowning, are all part of the seventh step in the journey through dementias and Alzheimer’s disease. This chapter also discusses how this step impacts our loved ones and us as caregivers and the practical, real-time, and loving ways we as caregivers should respond and help our loved ones walk through this step in the journey. The series continues with the inclusion of excerpts from Chapter 1, Chapter 2, Chapter 3, Chapter 4, Chapter 5, Chapter 6, and, with this post, Chapter 7. “Changes and disruptions in sleep are the next step in the journey our loved ones go through with dementias and Azheimer’s Disease. Included in this step is a phenomenon called sundowning, which we’ll explain the logic and science behind. But first we need to talk about the science of sleep. All humans have a 24-hour internal clock that is known as our circadian clock (the term circadian rhythm refers to any biological process that completes a 24-hour cycle). This clock, shown below, is a complex and coordinated system of neurology, hormones, environmental factors, and routines that are established from the time we are born. Everyone’s circadian clock is unique, but each follows the general pattern shown above. In fact, the clock shown above is the ideal and the circadian clock that humans basically followed until the Industrial Revolution took place in the late 18th and early 19th centuries. Since the full transition into the Industrial Revolution, human life and the adherence to this natural circadian clock has been altered and challenged because one of the side-effects of the Industrial Revolution was the development of artificial lighting (gas in the 19th century and electricity in the 20th century), which enabled lighting to be available 24 hours a day. This was the byproduct of greed that served the captains of industry well (instead of limiting work hours to daylight hours only, artificial lighting enabled factories, foundries, mining operations, etc. to operate on a 24/7 schedule), but the human race definitely got the short end of the stick here. 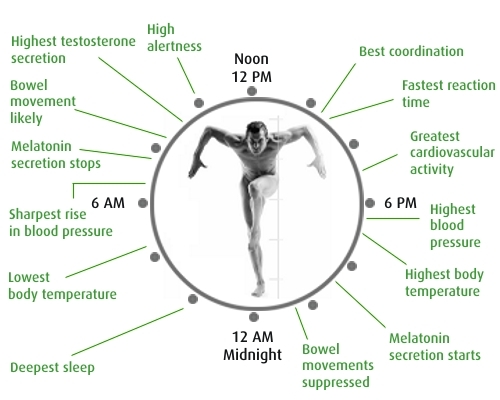 Because the body is designed genetically, neurologically, hormonally, and environmentally to function in sync with the 24-hour circadian clock shown above, disrupted sleep and sleep deprivation has a chaotic effect on the body, even in otherwise-healthy people. Time and again, science and medicine have shown a significant increase in accidents and serious injuries among shift workers who work at night. This includes not only production workers, but also professionals such as medical personnel. There is also a considerable amount of evidence that shows night shift workers are much likely to be injured or killed in driving accidents because they have a higher incidence of falling asleep behind the wheel going to and from work. In this seventh installment of brief excerpts from each chapter in the book You Oughta Know: Acknowledging, Recognizing, and Responding to the Steps in the Journey Through Dementias and Alzheimer’s Disease, we look at the sixth step in the journey through dementias and Alzheimer’s Disease. This post includes an excerpt from chapter 6, which provides a extensive look at how to acknowledge, recognize, and respond to the sixth step in the journey through dementias and Alzheimer’s Disease: sudden and dramatic mood swings in both directions. This chapter shows that frequent, unexpected, and severe mood mood swings are the sixth step in the journey through dementias and Alzheimer’s disease. This chapter discusses how this step impacts our loved ones and us as caregivers. It also discusses practical, real-time, and loving ways we as caregivers should respond and help our loved ones traverse this step in the journey. The series continues with the inclusion of excerpts from Chapter 1, Chapter 2, Chapter 3, Chapter 4, Chapter 5, and, with this post, Chapter 6. “Dramatic and sudden mood swings are part and parcel of the journey through dementias and Alzheimer’s Disease, and they begin to materialize during the step of paranoia, but they can continue throughout the course of these diseases. 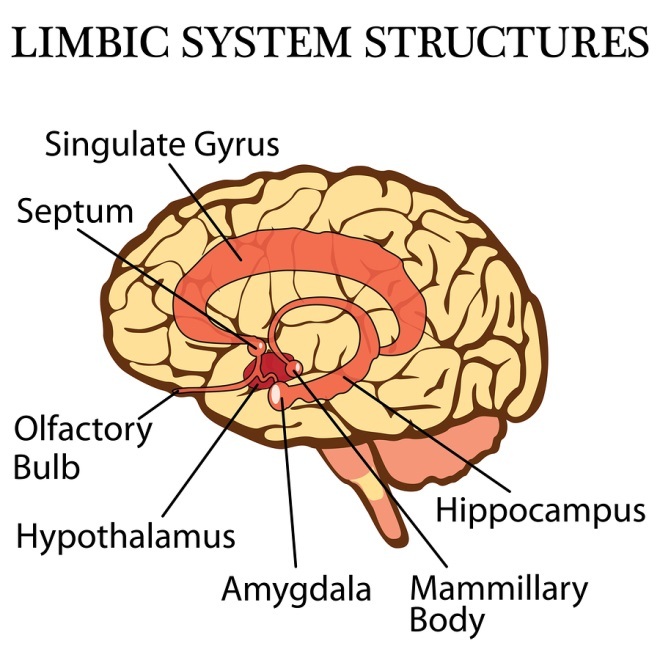 There can be several triggers for these mood swings: environmental, physiological, perceptual, and neurological. Sometimes all of these can be in play at the same time, but normally the trigger is singular. Let’s take a look at each of the areas that can trigger a mood swing in our loved ones suffering with dementias and Alzheimer’s Disease and how we can respond to and/or eliminate them. Environmental changes are often the trigger for sudden and dramatic mood swings. These can include something as seemingly simple as moving something out of a familiar place or having our loved ones in a setting they are not familiar with. It can also include the presence of strangers (or people they don’t remember) and it can include being asked to do something new or unfamiliar. In this sixth installment of brief excerpts from each chapter in the book You Oughta Know: Acknowledging, Recognizing, and Responding to the Steps in the Journey Through Dementias and Alzheimer’s Disease, we look at the fifth step in the journey through dementias and Alzheimer’s Disease. This post includes an excerpt from chapter 5, which provides a thorough look at how to acknowledge, recognize, and respond to the fifth step in the journey through dementias and Alzheimer’s Disease when paranoia emerges. This chapter shows why and how paranoia is part of the journey through dementias and Alzheimer’s disease, the impact it has on our loved ones, and how we as caregivers should respond to them both medically and personally with kindness, gentleness, and understanding. This fifth step requires a lot of love, a lot of commitment, a lot of sheer determination, a lot of perseverance, and a lot of courage on our part as caregivers because this, of all the steps, can be most brutal emotionally to us personally because it will literally chew us up and spit us out on a continual basis all the way through it. This chapter offers practical and accessible information to help us and our loved ones navigate this step successfully and intact. The series continues with the inclusion of excerpts from Chapter 1, Chapter 2, Chapter 3, Chapter 4, and, with this post, Chapter 5. “Pervasive paranoia is the next step in the journey of dementias and Alzheimer’s Disease. At some point, hallucinations and paranoia tend to overlap – the hallucinations, especially if they’re scary will elicit panic and anxiety – but paranoia eventually stands on its own as a distinct step in the journey. Paranoia has a complicated root system that we’ll break down into its components so that we understand why it occurs and what it looks like. One of the roots of paranoia in our loved ones with dementias and Alzheimer’s Disease is confusion and fear. There is self-awareness, at this point, within our loved ones that something is really wrong. They don’t know what it is, but the feedback around them, spoken and unspoken, tells them that they can’t trust themselves. Persistent hallucinations leave them with blurred lines between what’s real and what’s not. Constant corrections to the information our loved ones believe is true creates widening doubt. Repeated proofs that disprove what our loved ones believe to be accurate create insecurity.